Vote forBendigo, VICTop Regional Destinations Which are Australia's must-visit destinations? You help us decide. Established as a result of the Australian gold rush period, yet standing the test of time to become one of our country's most noteworthy regional centres, Bendigo mixes together the historic with the natural into a single visually delightful package. The city has successfully continued to incorporate modern enhancements alongside its old-world backbone to create a truly cool and varied Victorian travel destination. Why it's special: A vibrant arts hub with a flourishing food and wine culture; rich history - both Western and Chinese - which is preserved in the grand architecture and picturesque gardens that feature throughout the town. Bendigo intermingles the old with the new quite unlike the majority of other destinations in Australia; few spots in the country offer such a blend of modern convenience with a dose of the historic. The most obvious initial feature for any first-time visitor to the city is its abundance of wonderful Victorian architecture that forms the backbone of much of its cityscape - particularly the stretch along Pall Mall which doubles as the city's oldest street - and its mixture of churches, fountains and general grand buildings forms something of a living museum that's great for both history and photography enthusiasts. Its Sacred Heart catholic cathedral is a landmark of particular note, bringing an element of old-world Europe to regional Victoria, while there's also a strong Chinese influence that permeates Bendigo dating back to the gold mining era and helps to differentiate it from the majority of other Aussie goldrush regions. This past significant era is documented in fine fashion at several high quality museums and galleries that do the city proud, and rank amongst the best that can be found in any part of regional Australia. Bendigo's surrounding wine country and its associated abundance has also helped to contribute to the city's newly-thriving culinary scene. As a result, the number of quality restaurants, bars, and other laneway-style eateries available for the visitor today makes for some extensive - and tantalising - choices for foodies. Several annual events oriented around all-things-gourmet can also be experienced in Bendigo should you time your visit right, ranging from winemaker's festivals to those oriented around agriculture, livestock and more. Its two standout cultural attractions, meanwhile - the Bendigo Art Gallery (a well-organised display in which visitors can experience an interesting mix of both historic and modern art) and the Central Deborah Gold Mine (allowing visitors the opportunity to explore the hidden underground tunnels of one of Bendigo's oldest mines) are also must-visits while in the region. Looking to pay a visit to Bendigo but not sure what to do? Here are a few of its most essential experiences. What's new in Bendigo in 2016/2017? After the huge success of the Marilyn Monroe exhibition, Bendigo continues to be one of the leading arts and cultures destinations in Australia. During 2016/17 Bendigo saw more than 20,000 visitors to the House of Mirrors installation, celebrated Australia’s iconic fashion designers – Toni Maticevski, Jenny Kee and Linda Jackson, and continues to indulge visitors with some of the best produce in the world. 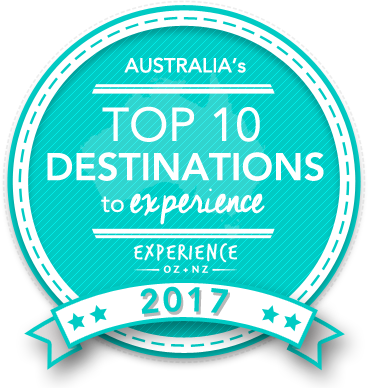 Bendigo was also the most searched destination on travel website TripAdvisor in 2016 by Australians. Is Bendigo Australia's Top Regional Destination to Experience for 2017? Vote now for the chance to WIN an epic trip to one of Australia's top destinations!